Gable vents work to provide ventilation, releasing stagnant air, preventing damage from humidity, and optimizing temperature control. Gable vents are particularly useful during the summer months when hot air rises and is trapped in the attic, where it can transfer itself down through the ceiling and back into the level below, decreasing the effectiveness of air conditioning systems. A gable vent is located at the attic area, commonly on the exterior wall where the two planes of a sloping roof join, forming a triangle. The gable can be any symmetrical shape, but the triangle is among the most common. Other vent shapes include rectangles, steeples, circles, and octagons. Gable vents are fitted with horizontal ventilation slats called louvers. A mesh screen placed behind the vent allows air to circulate while keeping insects out. 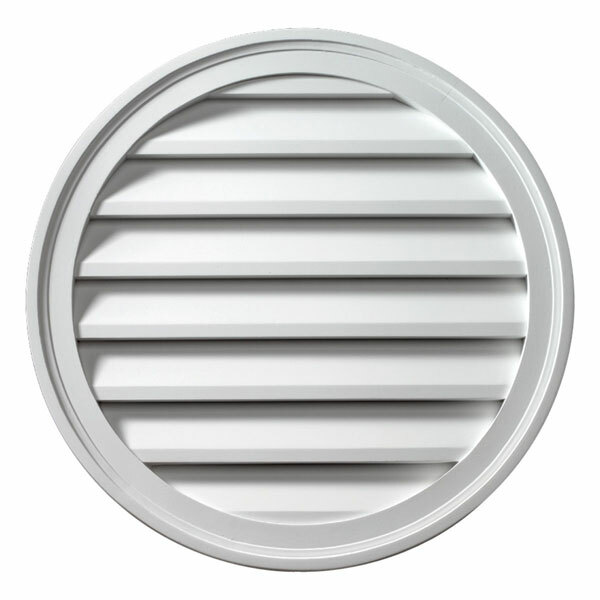 A gable mounted ventilator helps to push air through the louvers. The ventilator removes air from the attic through the use of turbines or fans. The gable ventilator commonly requires no carpentry, as it is mounted on the interior of the wall behind the gable, however, electrical installation is required.